Another great coupon today — Ocean Spray BOGO coupon to print! 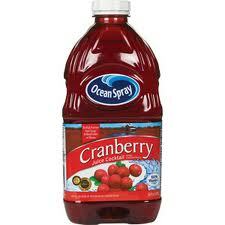 Buy one 64 oz Cranberry Juice Drink and Get One 64 oz Ocean Spray Cherry Juice Drink FREE! There are a bunch of new coupons coming out right now, so print the great ones fast. Don’t forget some may be disappearing that have been around for the last few weeks, so be sure to print them while you can. Ralphs is a great place to use this right now since it’s on sale for $1.77! Oh that is great! Thank you for letting us know.